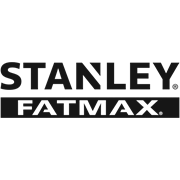 The Stanley FatMax Stud Sensor 300 features a backlit LCD screen which clearly displays all of the sensor's readings, even in low light conditions. AC detection identifies live wires up to 2" deep, along with wood and metal stud detection through up to 1-1/2" deep surface material. 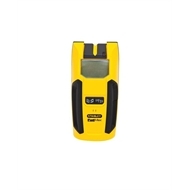 Also features a deep metal scan what sense metal through up to 3" of material. Its One Pass centre-find technology is able to locate the stud centre. This unit also features auto-calibration. The marking channel improves accuracy of marking-out readings. New ergonomic design, and soft grips provide comfort and control of the tool. Uses (1) 9v Battery, not included.